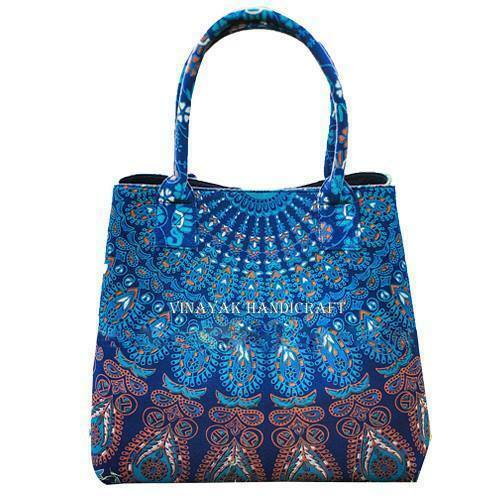 Vinayak Handicafts offers the assorted range of trendy Mandala Hand Bags. These stunning bags are used for varied purposes. Girls love to take beautiful bags to college, these bags are also available for vegetable bags, which you can take with you when you shoulder baggo to purchase vegetables. These bags are also used by the shopaholics to take for shopping. You can also buy these bags as the bags, in which you can keep the and take it wherever you desire to take. People love to buy these bags for having a vinrtage touch in the accessories. These bags can also be taken for the parties. 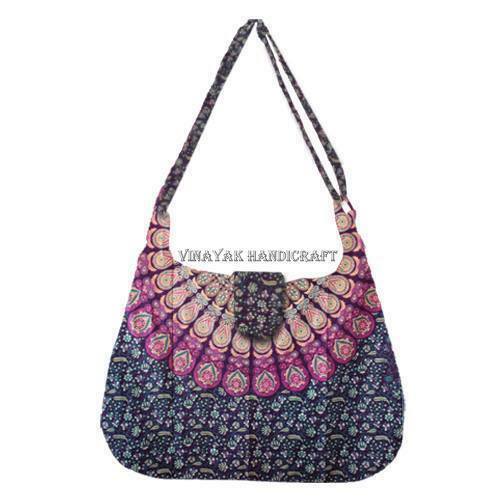 Vinayak Handicraft offers the assorted range of trendy mandala hand bags. These stunning bags are used for varied purposes. Girls love to take beautiful bags to college, these bags are also available for vegetable bags, which you can take with you when you shoulder baggo to purchase vegetables. These bags are also used by the shopaholics to take for shopping. You can also buy these bags as the wine bags, in which you can keep the wine and take it wherever you desire to take. People love to buy these bags for having a vinrtage touch in the accessories. These bags can also be taken for the parties. 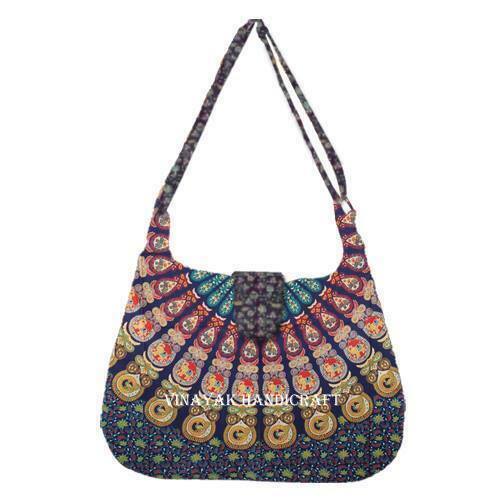 At our online store, we offer the kantha bags, which includes classy tote bags, hobo bags, floral bags, clutch bags. 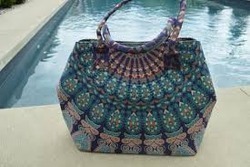 Different kinds of mandala bags on the Handicrunch are floral mandala bags, clutch mandala bags, floral mandala bags. Lovely reusable bags includes shopping bags, bucket bags, travel bags, wine bags, vegetable bags. And the shoulder bags of Handicrunch, can also be taken for the parties. - Print: Screen Printed Design. Our bags come with Strong handle so you don’t have to worry about the weight you carry. 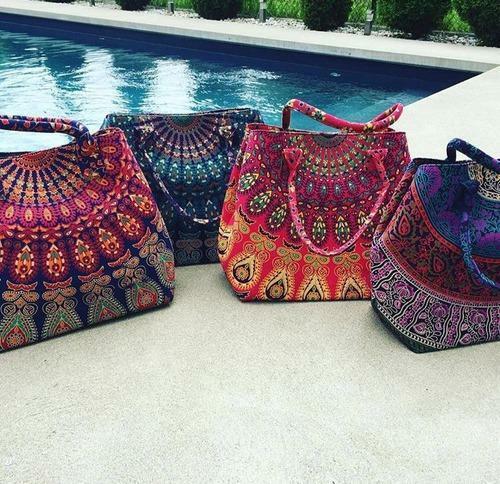 These astonishing hand printed and stitched Mandala Tote bags are made in India with a lot of attention to detail. Intricacy in prints & color combinations are the true ingredients for bringing out these alluring Bags. Made of 100% cotton and hand printed with vegetable dyes in our art factory. 100% cotton 100% vegan dyes. No use of chemicals, animal products or by products in the making of these products.Do check our FAQ section for more information on the products prior ordering.Disclaimer – Please note that all the products are handmade with vegetable dyes. This may cause the color to look a little dull in comparison to the ones with chemicals infused in it. Also there may be asymmetry in the print due to hand printing. We do not offer any exchanges or refunds for the same. Kindly see this prior ordering. We make each piece with creativity & skill & would try achieving zero asymmetry / imperfections in the prints. 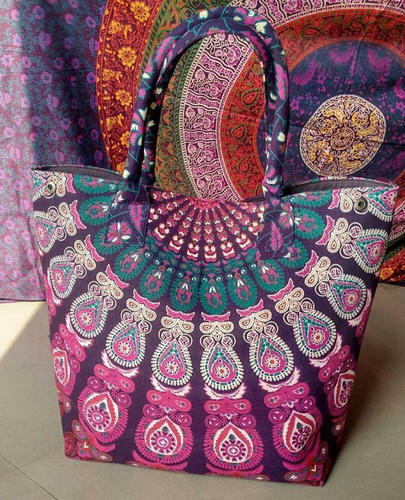 These Handmade Mandala Tote / Shoulder bags are perfect for your daily office life or can be taken to Beach, Picnic or any other outing, High quality wholesale cheap hand mandala bag, hand knit bag, bulk cosmetic bags cheap wholesale makeup bags. 2. Price: according to difference fabric and workmanship. 5. Style: formal style or casual style or classic style or as per client’s requirements. No use of chemicals, animal products or by products in the making of these products.Do check our FAQ section for more information on the products prior ordering. Disclaimer – Please note that all the products are handmade with vegetable dyes. This may cause the color to look a little dull in comparison to the ones with chemicals infused in it. Also there may be asymmetry in the print due to hand printing. We do not offer any exchanges or refunds for the same. Kindly see this prior ordering. 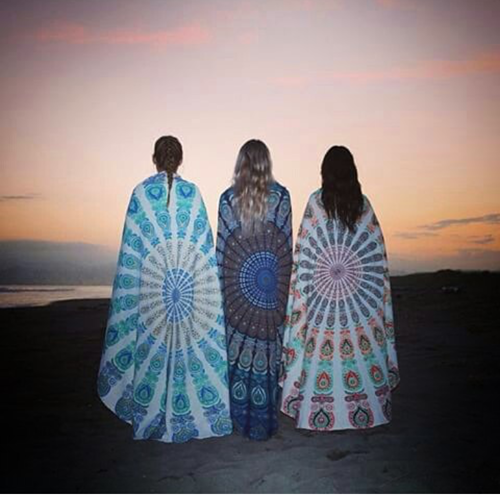 We make each piece with creativity & skill & would try achieving zero asymmetry / imperfections in the prints. 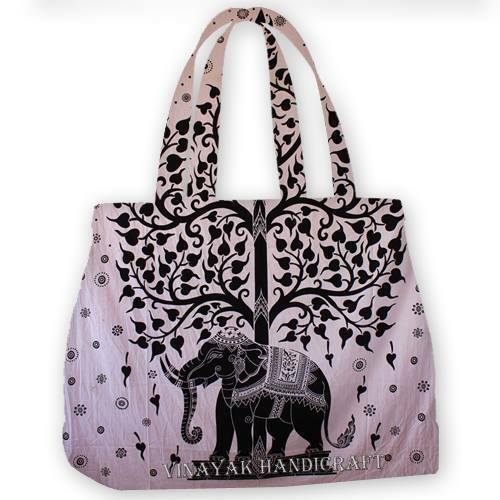 Dhanlaxmi Handicafts offers the assorted range of trendy Mandala Hand bags. These stunning bags are used for varied purposes. Girls love to take beautiful bags to college, these bags are also available for vegetable bags, which you can take with you when you shoulder baggo to purchase vegetables. These bags are also used by the shopaholics to take for shopping. You can also buy these bags as the wine bags, in which you can keep the wine and take it wherever you desire to take. People love to buy these bags for having a vinrtage touch in the accessories. These bags can also be taken for the parties. Our Mandala Tote Bags are exclusively designed and made with very fine detailing.